Malawi Museum after being looted in August 2013. At an inauguration ceremony attended by top foreign archaeologists, ambassadors, and Egyptian officials, Egypt’s Minister of Antiquities said the museum’s reopening is a “message to the world that egypt does not bow to terrorism and those who try to destroy its heritage and civilization”. The restoration, which cost around EGP 10 million and was partly financed by the Italian government, provides a more educational experience for visitors. 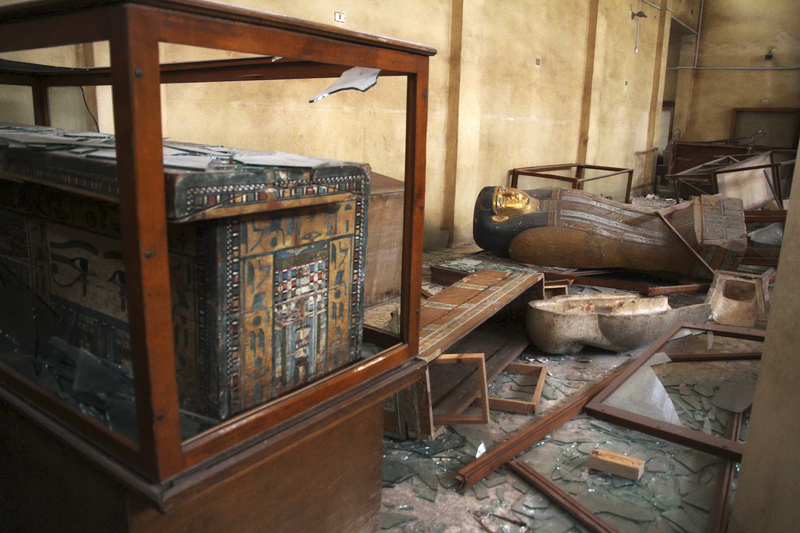 Malawi National Museum was ransacked, looted, and parts of it torched in August 2013 during violence that followed the ouster of former President Mohammed Morsi. More than 1,000 antiquities spanning 3,500 years of history were reported to have been stolen, with the few remaining pieces left damaged. However, according to state media Al-Ahram, the majority of the pieces were eventually recovered by the Egyptian government after police promised not to prosecute anyone returning looted antiquities.